Reeses Peanut Butter Cups! I have to admit, I was skeptical about this working. But they turned out so good! I decided to try the same concept with Kit Kats to see if it would work too, and they were also so yummy! 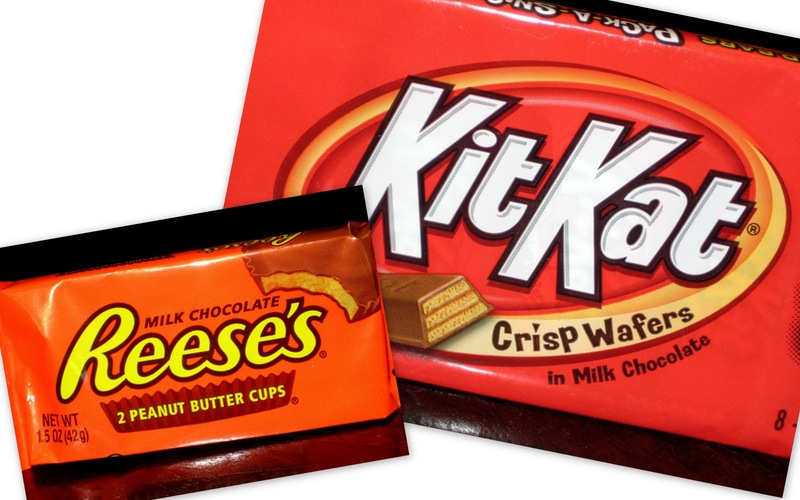 Your going to want to get the Reeses or Kit Kat fun packs since you’ll need 24 individual candies for either recipe. 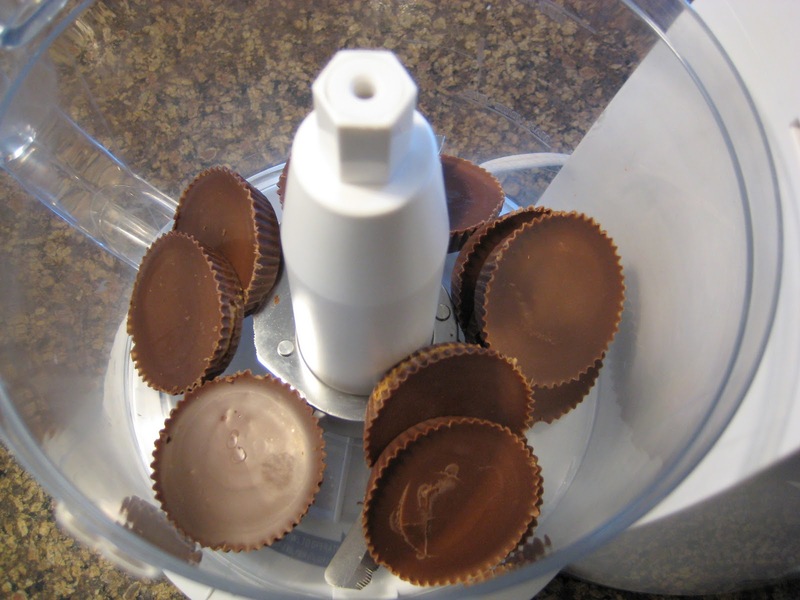 Unwrap each candy and put them into the food processor. Process until an even consistency. Add one egg and process until mixed. Then scoop candy paste onto a cookie sheet and bake at 350 degrees. If you decide to make the Kit Kat cookies then you will need to bake for just a tad longer. Reeses cookies take 10 to 12 minutes and Kit Kat cookies bake for 12 to 15 minutes. If desired, sprinkle with sea salt before baking. My friends recipe called to have the Reeses cookies cook for longer, but when I cooked them for longer then 12 minutes they were over done. So keep this in mind when you are baking that it might take them a little longer. You’ll be able to tell they are done when the bottom is a golden brown and cookie has flattened out.